Can you say "wait a second" if you don't have a sweeping second hand on a watch? 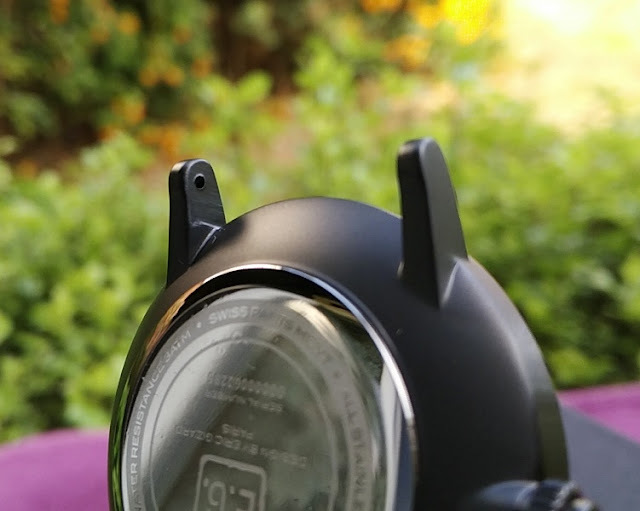 The Nowa Shaper watch is a beautiful instrument for measuring time that takes you back to the basics when the main indicator of time was sunrise and sunset, not counting seconds. 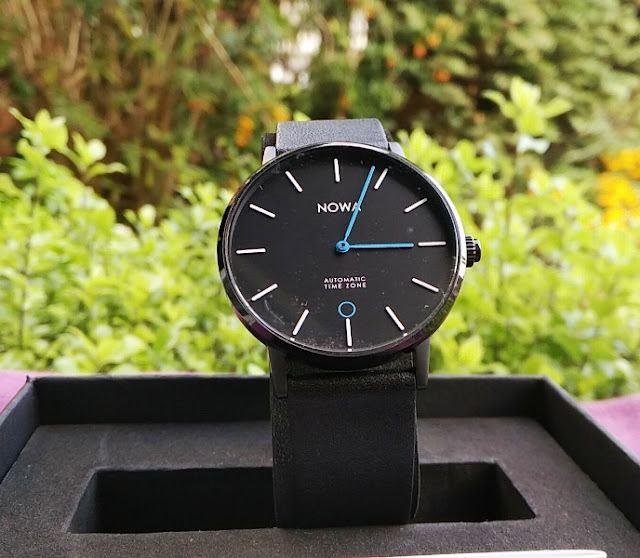 Being an analog watch, the Nowa Shaper watch has clock hands which consist of an hour hand and a minute hand with an indigo blue finish. 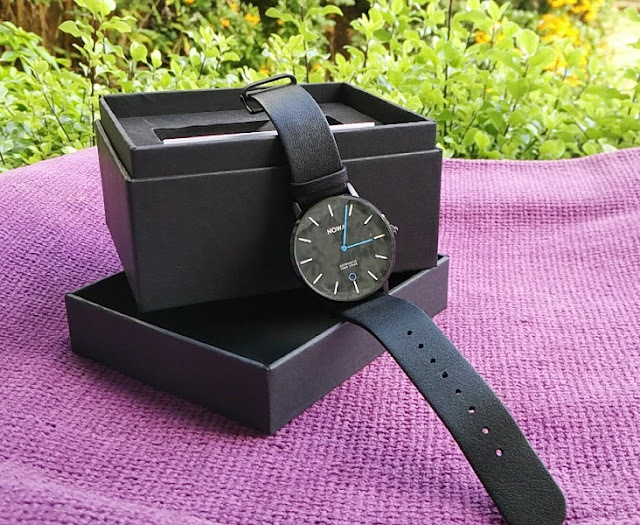 There no running/sweeping second hand on the Nowa Watch but then again, the Nowa Watch is the type of watch you would wear when you don't need to know the time down to the split second. 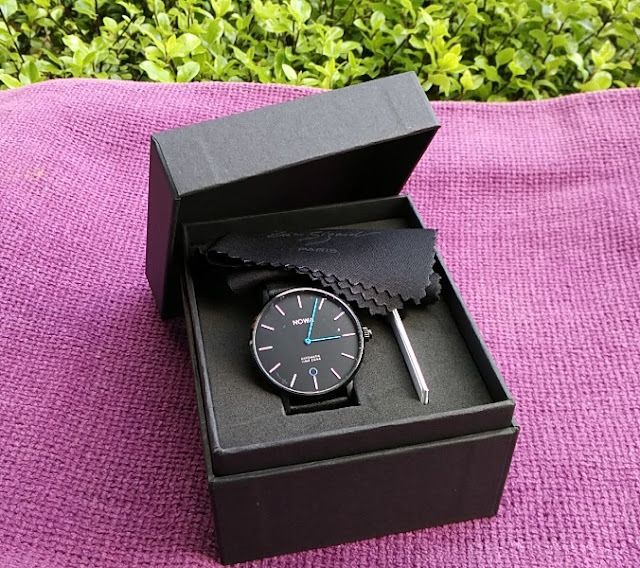 With that said, a sweeping second hand on a watch has a practical purpose and that is to give you complete picture of the current time and make you aware of whether the clock movement is running or not. 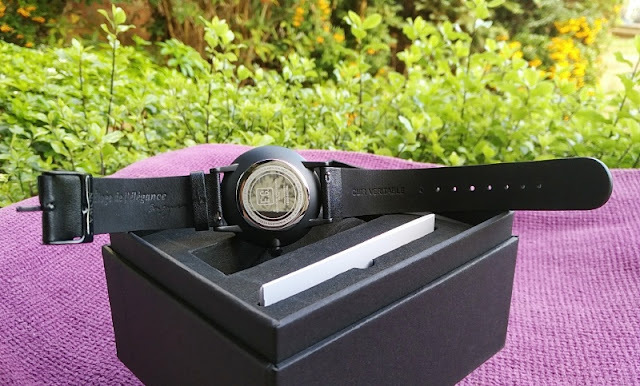 For some people not having a running second hand is a deal breaker but it's good having the choice of a watch with or without sweeping second hand particularly if you like a clean look like the Nowa watch. 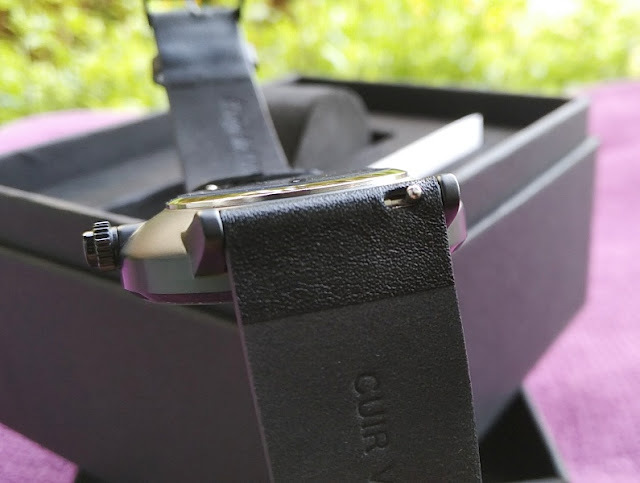 The 40mm diameter case body of the Nowa Watch, buckle tongue and buckle clasp are made of black 316L stainless steel with glossy finish. 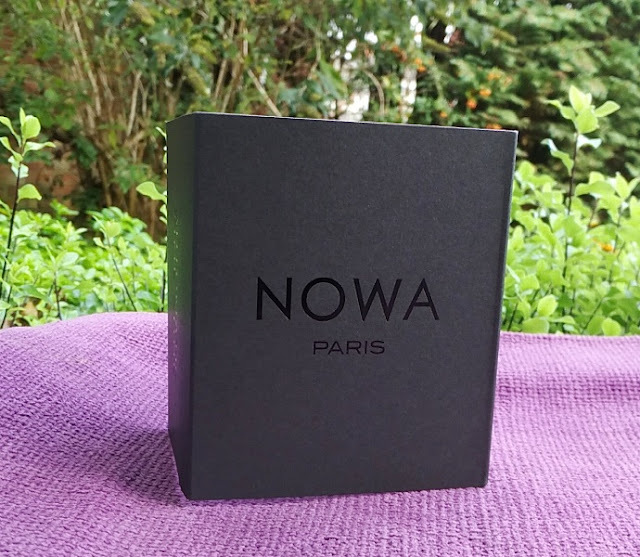 The Nowa watch case back is made of high gloss stainless steel with a matt black unfilled circular plate on top. 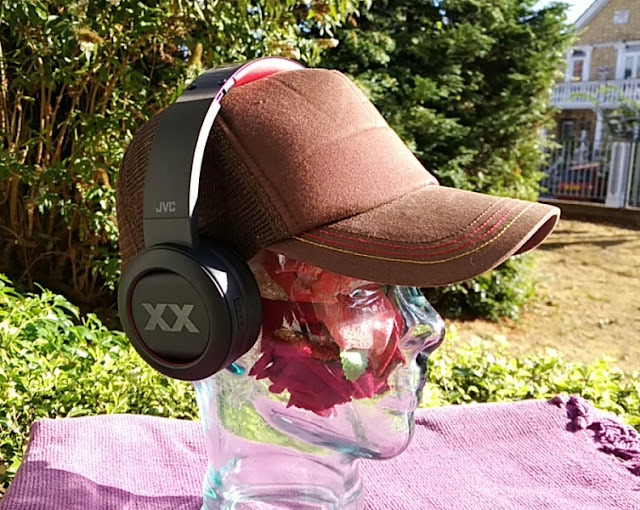 316L stainless steel is austenitic stainless steel alloy so it's not pure stainless steel but still it's durable and corrosion-resistant. 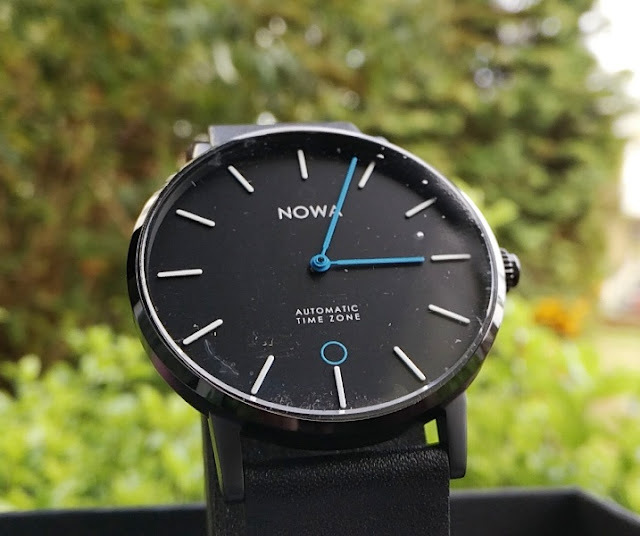 The mineral glass on the Nowa Watch has a Sapphire coating for scratch resistance and durability being made of silica tempered glass so it's tougher than plexiglass. 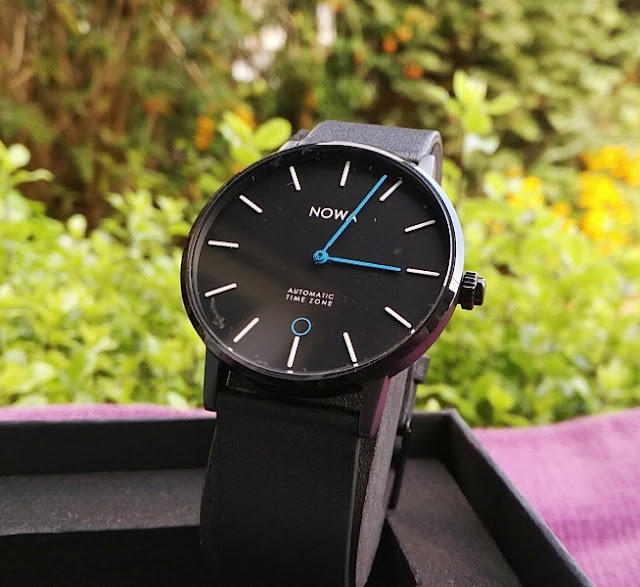 The matt white indices on the dial of the Nowa Watch are made of solid metal. 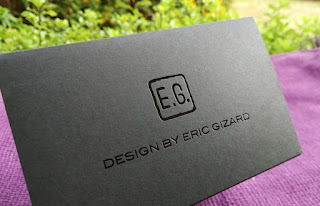 The dial itself is matt black. 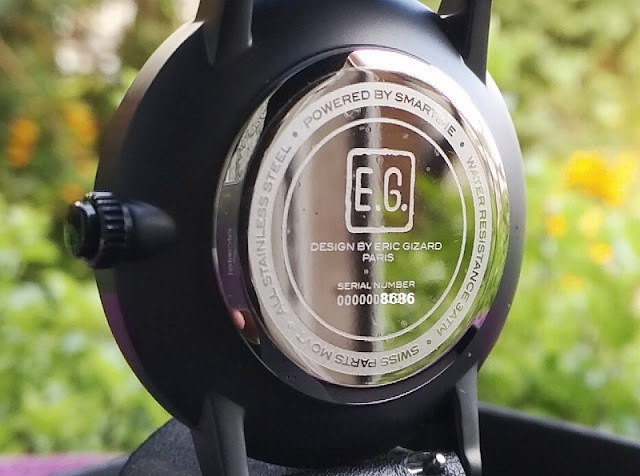 The case back engraving wording on the back of the Nowa Shaper watch includes Eric Gizard signature, serial number, all stainless steel, swiss parts movt (movement) and water resistance 3ATM (30m). 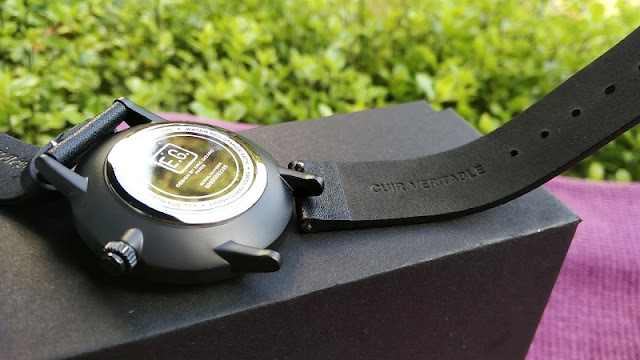 3ATM means the Nowa Watch is splash/ rain resistant but not suitable for showering or water submersion. 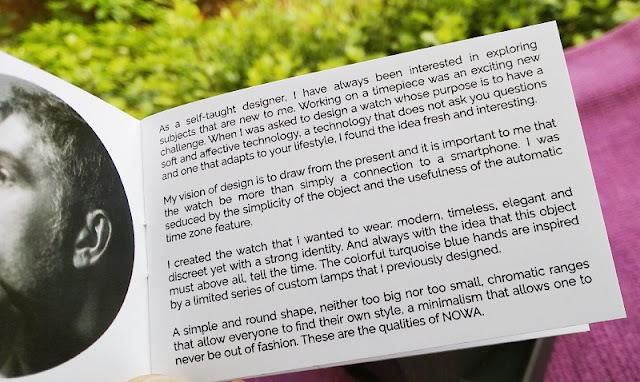 The Nowa Watch integrates Ronda Quartz mechanical movement Swiss Parts version which is assembled in the Far East. 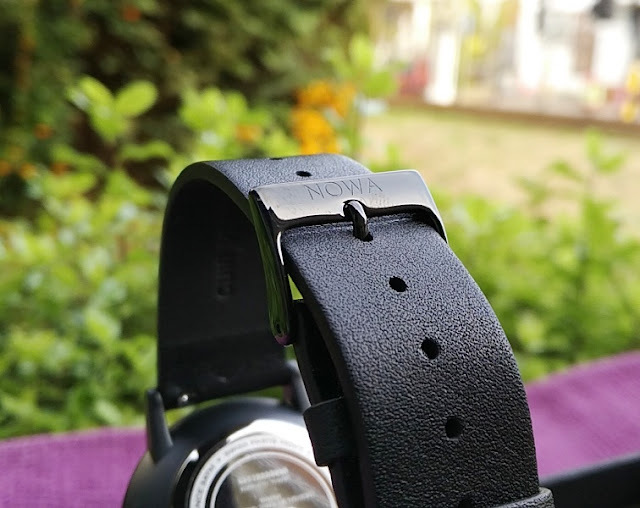 The Nowa Watch 6-o'clock strap and 12-o'clock strap are made of full grain Italian black leather with matt black real nubuck lining. 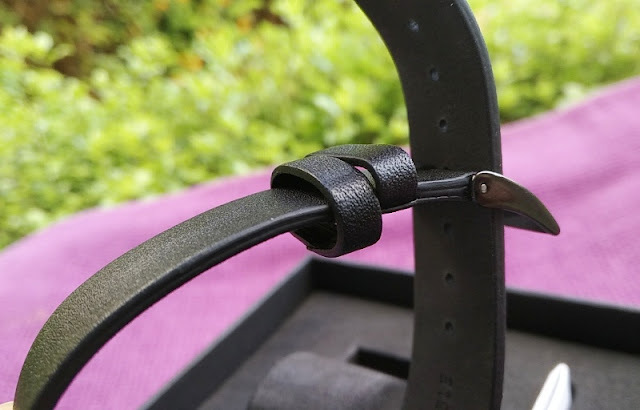 The 12-o'clock strap features the buckle clasp as well as a fixed loop ring and a free loop ring; while the 6 o'clock strap features eight adjustment holes. 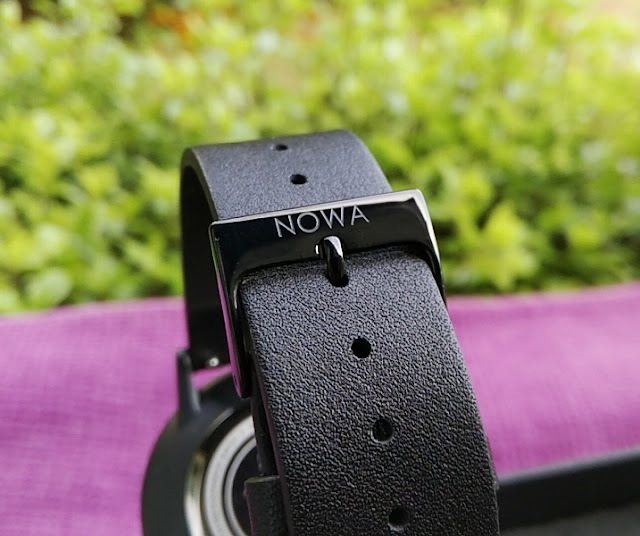 The Nowa Watch straps have 20mm width at the lugs and a fitting circumference between 165 and 215 mm. 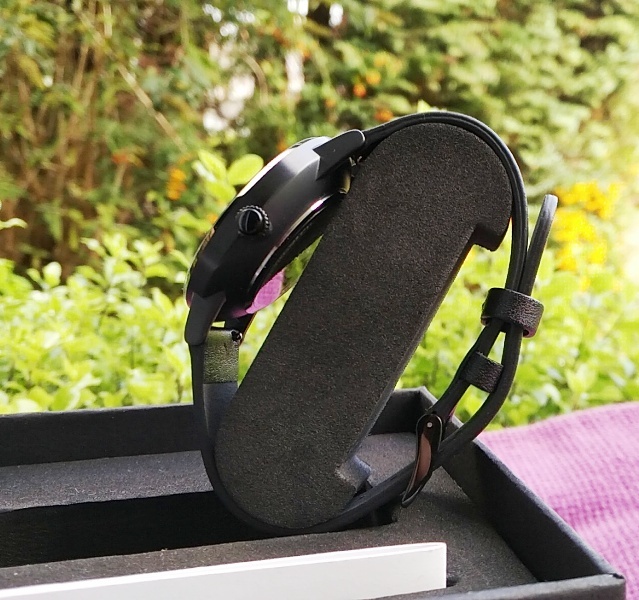 Both 6-o'clock strap and 12-o'clock strap are easily detachable from the lug holes of the Nowa Watch via spring-operated lugs that you push sideways. 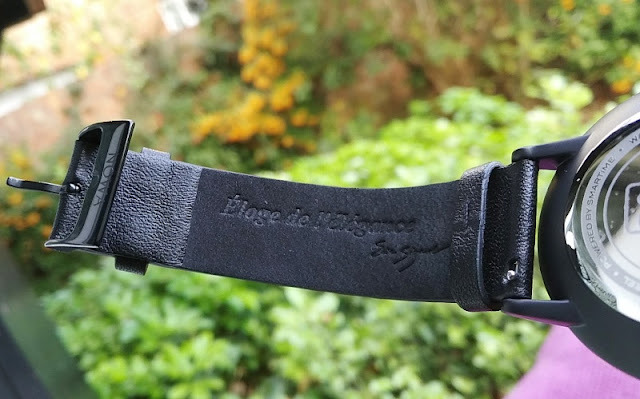 What's interesting about the watch straps is that some wear the buckle side of the strap at the 6 o'clock side of the watch. 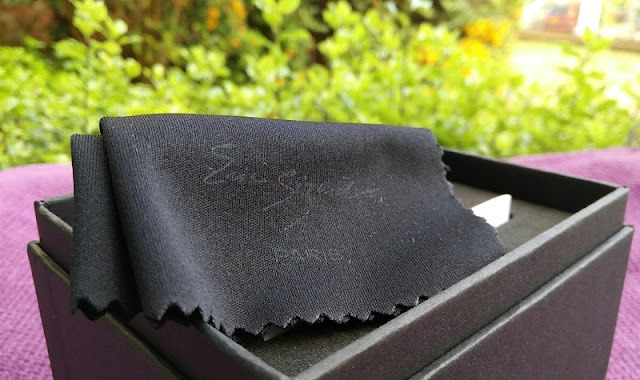 There's really no right or wrong way to place the straps on a watch even though they are designed to be worn with the buckle at the 12 o'clock end. 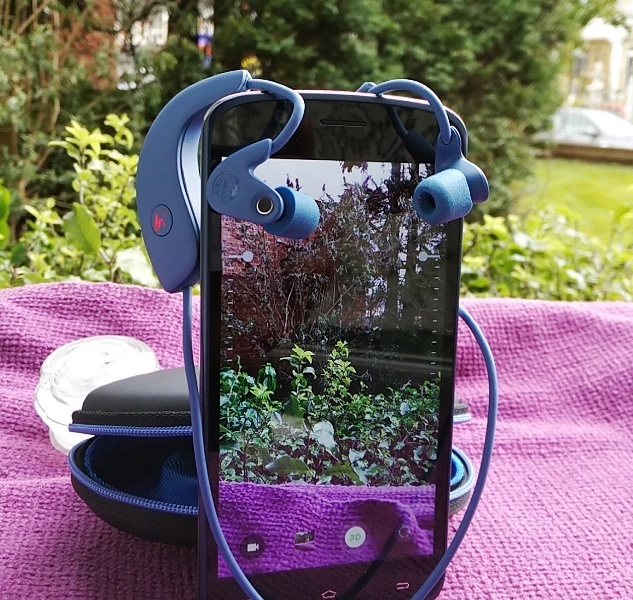 As a daily activity tracker smartwatch, the Nowa Shaper covers the bases well - exercise and sleeping, giving you a good all-round idea of your fitness levels and sleeping patterns. 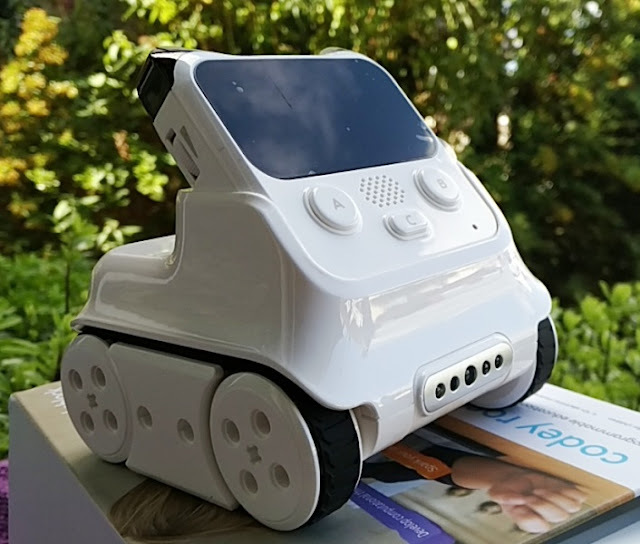 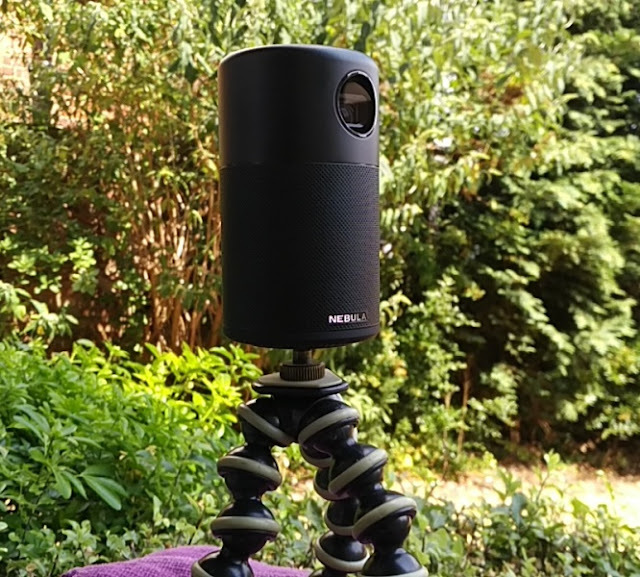 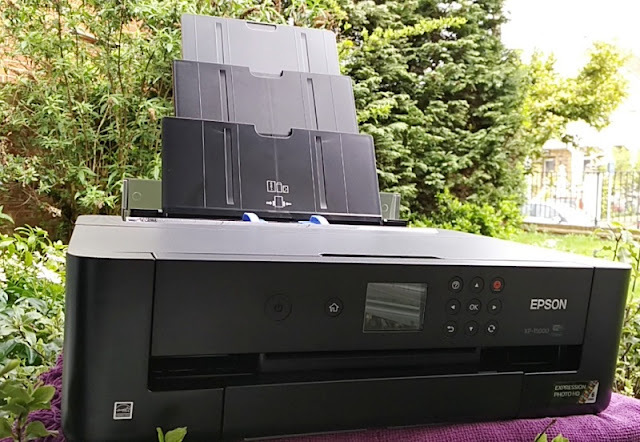 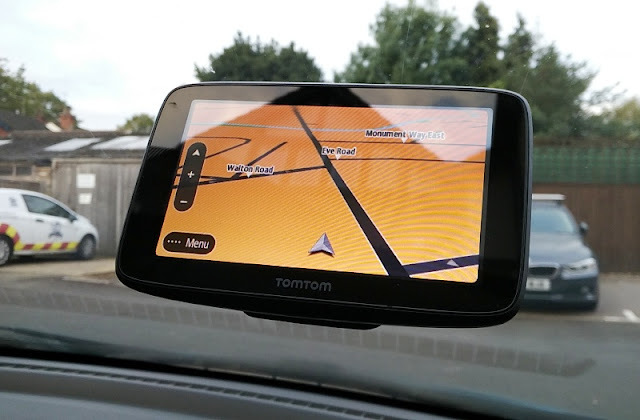 The Nowa watch records the data internally and then syncs the data over bluetooth to the app where you can see the data on a day-to-day basis. 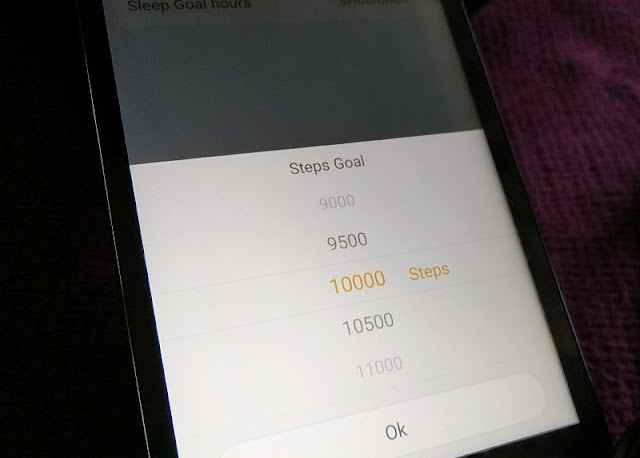 You can set sleeping and steps goals. 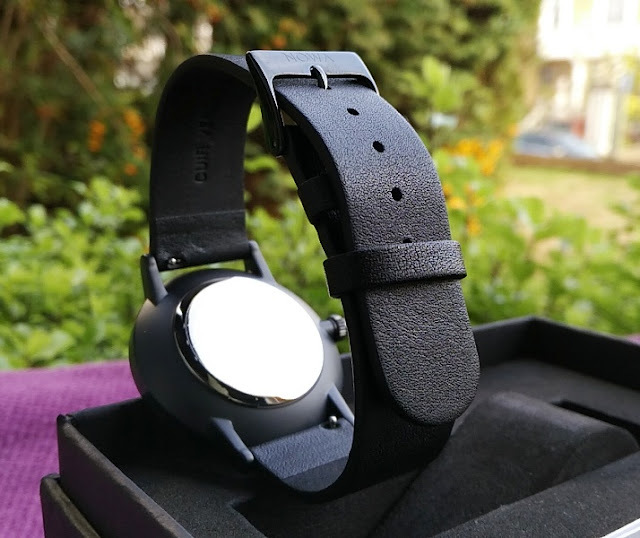 While Nowa Shaper watch has a classic feel of an old-fashioned timepiece, the fusion of modern activity tracking via bluetooth connectivity works great. 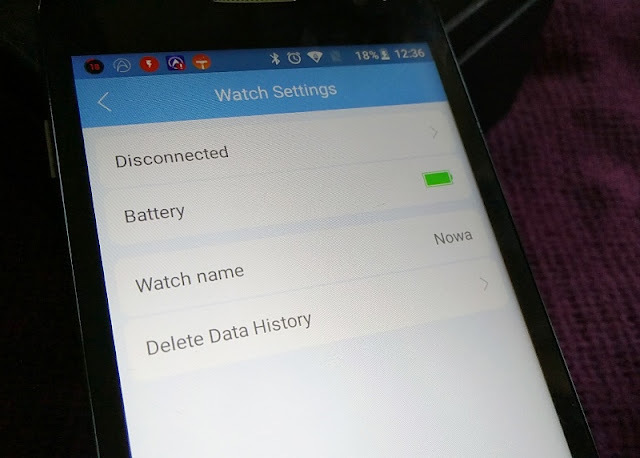 This allows you to pair the Nowa Shaper to your phone via the Nowa Watch app and get more out of the watch other than telling time. 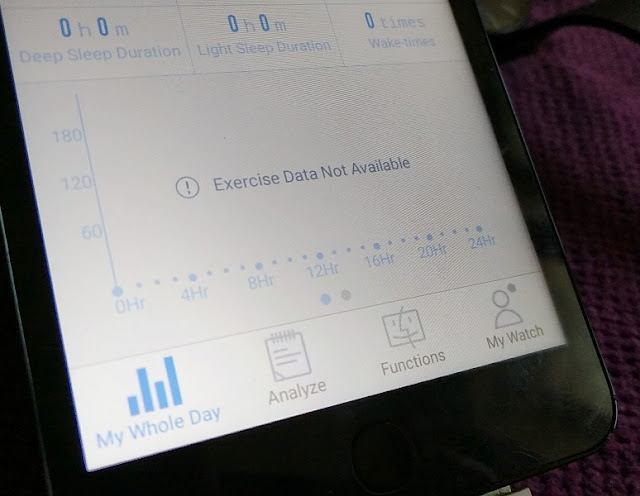 Within the Nowa Watch app, you can track sleep and exercise (steps, distance, calories burnt) as well as control some functionality of your phone remotely including the camera and reject calls. 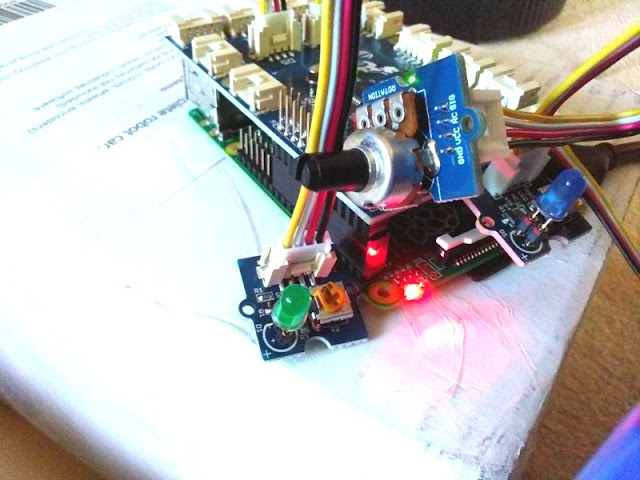 You can also use the Nowa Shaper watch as a ringer to find your phone when lost. 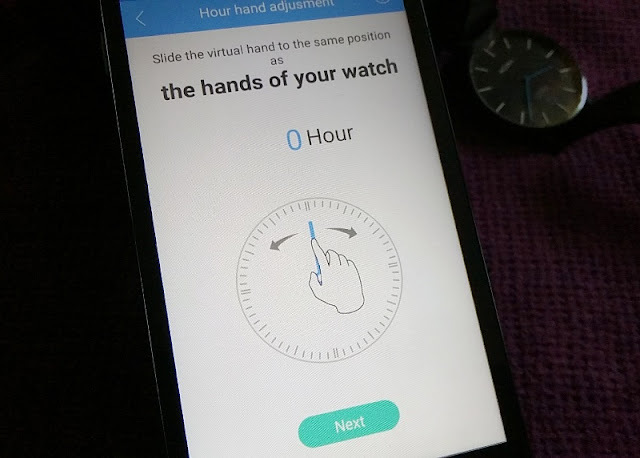 The time is set also via the app where you indicate the time you want displayed on the watch and giving the app the exact position of each hand. 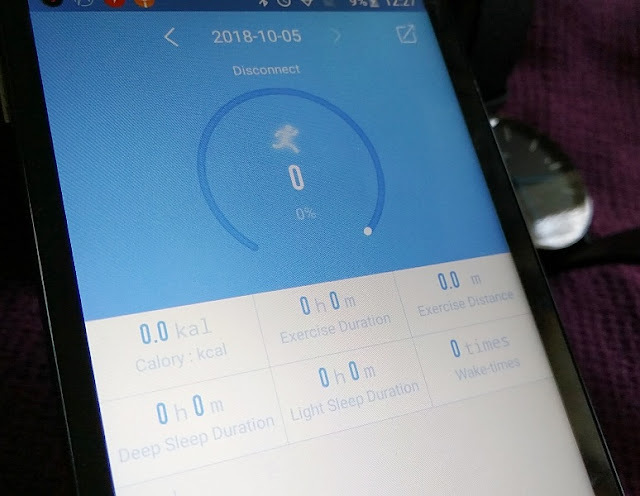 The Nowa Watch app also supports fitness cloud via Health Kit and Google Fit so you can manage the day to day of your fitness. 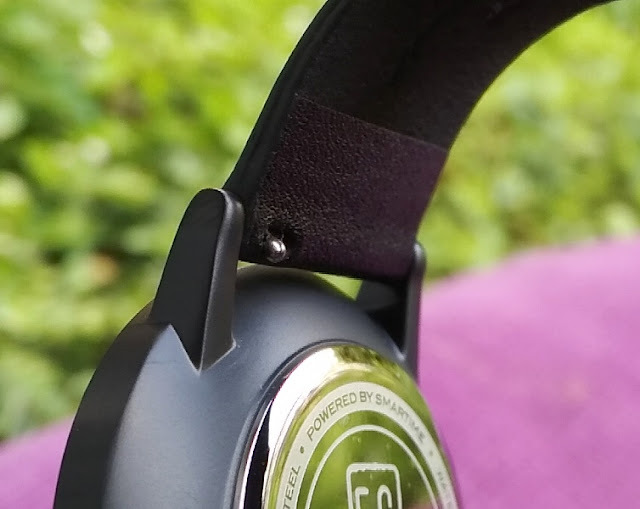 Up to 8 months of battery life via a standard CR2025 coin cell battery is a pretty good run though you will want to turn off Bluetooth on the watch when not in use to save battery. 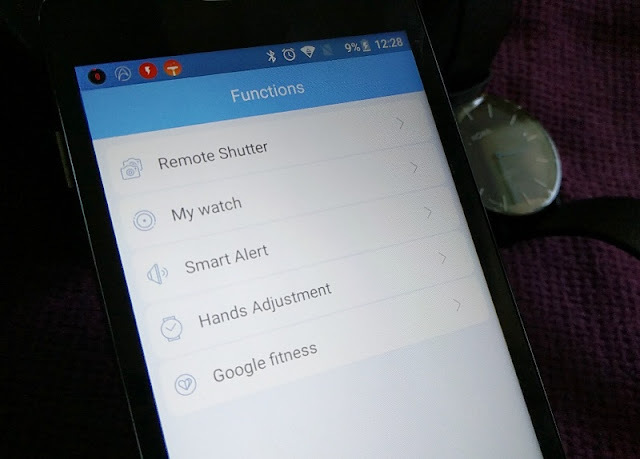 To turn off Bluetooth on the Nowa Shaper watch, you push the crown for a few seconds. 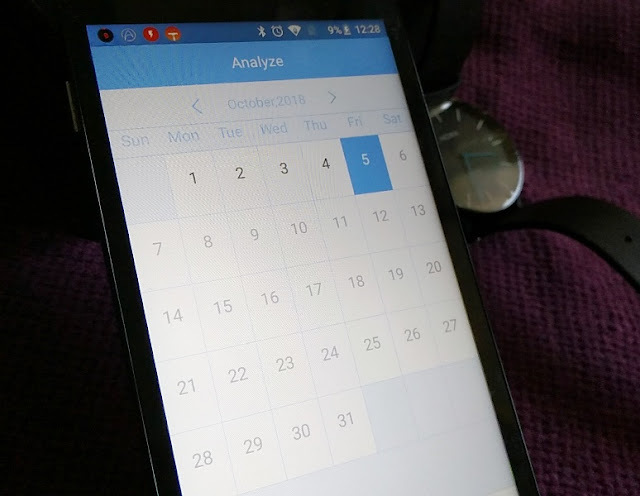 The neat thing about being able to turn off the bluetooth to save battery is that the Nowa watch still displays the time and records activity. 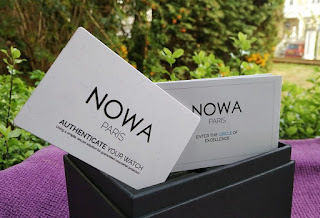 Nowa is partnered with Cypheme, which provides a authentication method to prevent Nowa watches counterfeits. 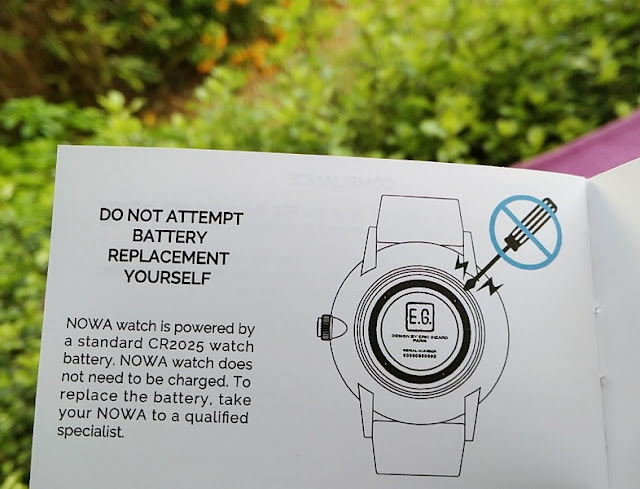 To replace the battery, you have to take the Nowa watch to a qualified specialist to replace the battery for you.